Aren’t bulky winter sweaters just the best?! 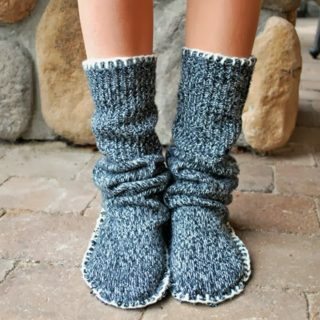 They have the comfort, the coziness and the warmth! Once they are out of style or just worn out, it can be hard to let them go! 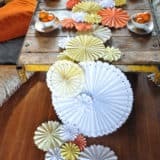 Thankfully, there are ways you can keep them around and turn them into something new! It’s always a good feeling when you get to keep something of sentimental value and also get a unique new piece to show off! Don’t miss out on the top 12 ways to repurpose an old sweater! 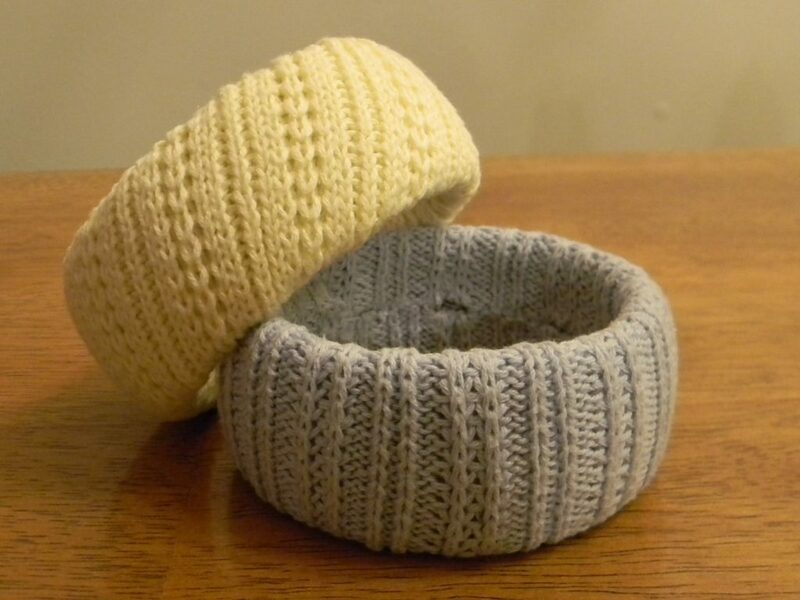 A great way to repurpose your favorite old sweater is to turn it into a throw pillow! Every time you decide to cozy up in bed or on the couch, the sweater pillow will be there with its softness and sense of familiarity! 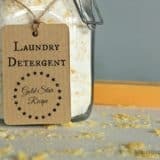 If you have a family member who lives far away, this can also be the perfect sentimental gift! 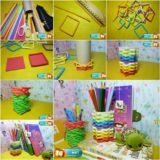 Head over to HGTV and find the tutorial! 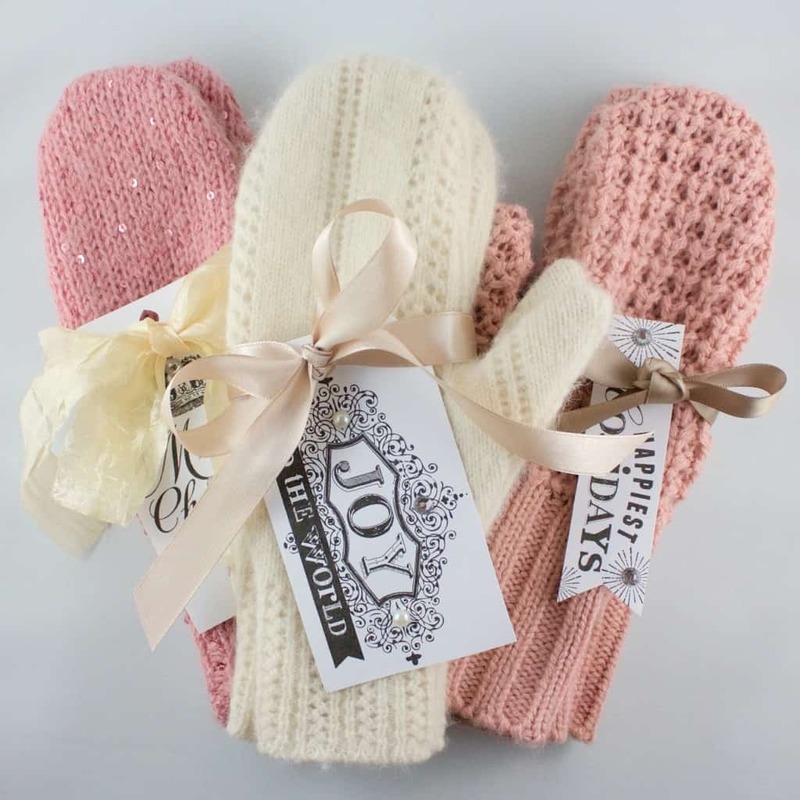 This year you don’t have to buy mittens! 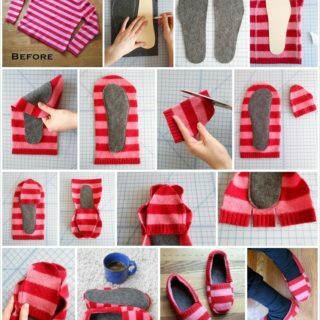 You can make them by repurposing one of your old sweaters! Buying mittens comes with so many questions; are they warm enough? Comfortable at all? 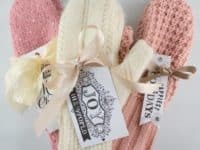 If you follow Feathering My Nest‘s instructions and just make them yourself, you won’t have to worry about any of those things – you’ll already be sure in the warmth and comfort of your sweater! 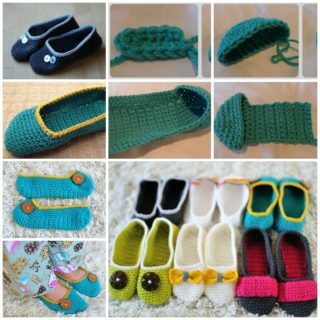 Our feet can get a rough deal during the cold months! 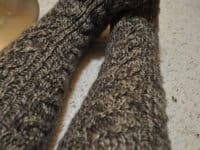 They deserve the warmest, softest socks possible! 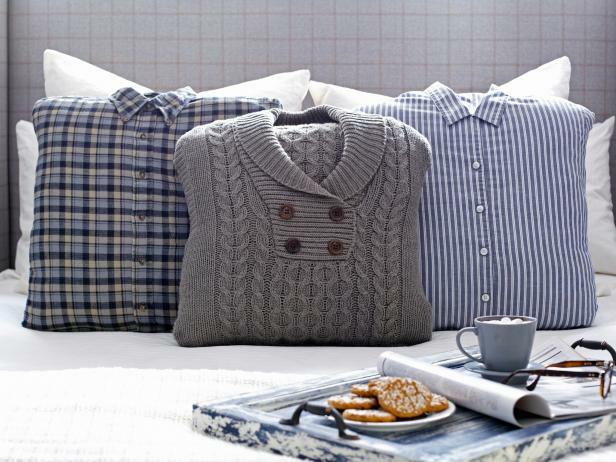 Raid your closet and pick that one sweater you haven’t worn in years but still hold onto. 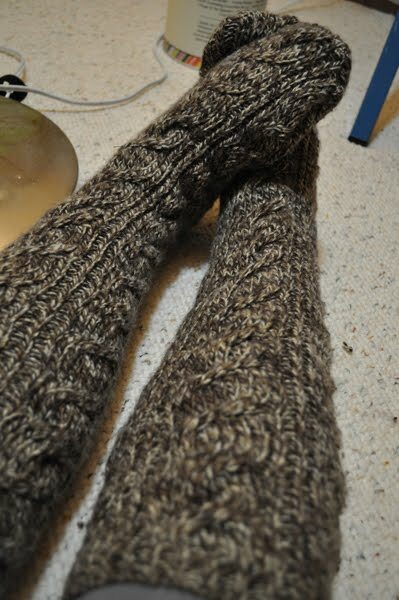 Then, go to Alaska Crafter and learn how to turn that sweater into bomb winter socks! Easy peasy! 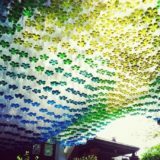 Honestly, fancy lampshades have got nothing on this one! 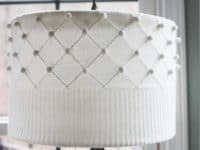 Unskinny Boppy‘s sweater lampshade is proof that something old can quickly become something new! 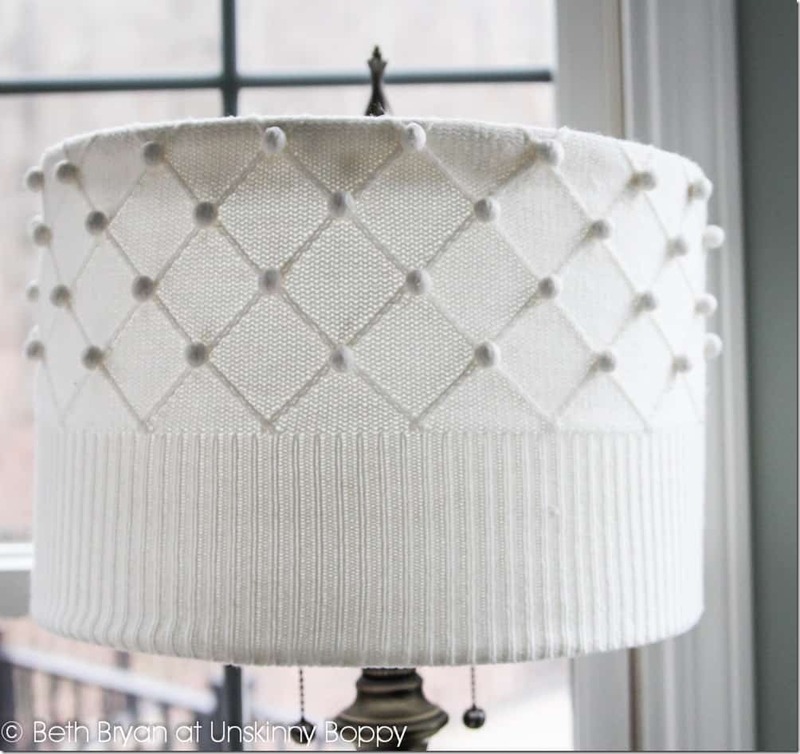 Your sweater may haven fallen behind the latest trends, but upgrade it to a lampshade and just like that you’re back in style! 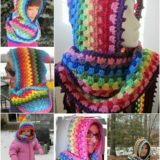 Little girls love to wear their mommy’s clothes, so here’s a fantastic and adorable way to make your mini-me happy! 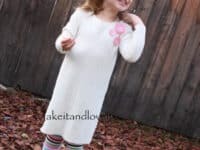 You can take an old sweater of yours and customize it into a sweater dress for your little one! 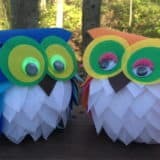 Make It & Love It makes the process look incredibly quick and simple! 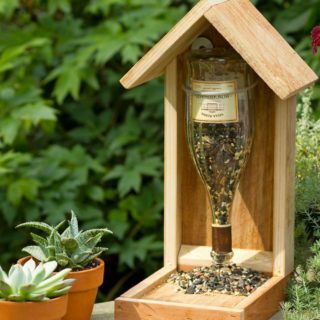 We’ve seen so many creative plant holders, but this is a first! 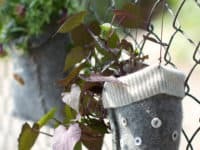 Your old sweater can easily become a unique plant holder! 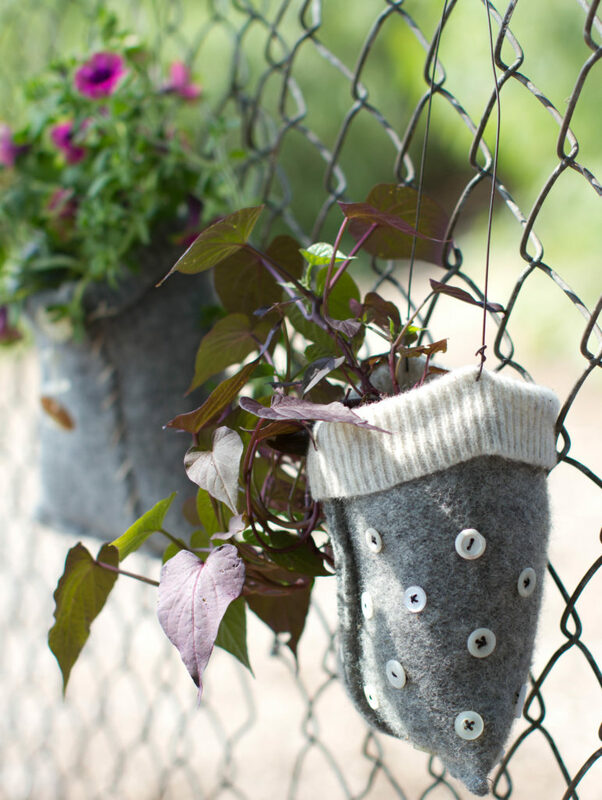 Keep your plants warm and cozy with this great idea by Lark Crafts! Who knows, maybe the plants will love the coziness and grow better! Leggings are such a comfortable thing to wear! They don’t make you feel confined, you can jump, run and dance in them, they are simply perfect! 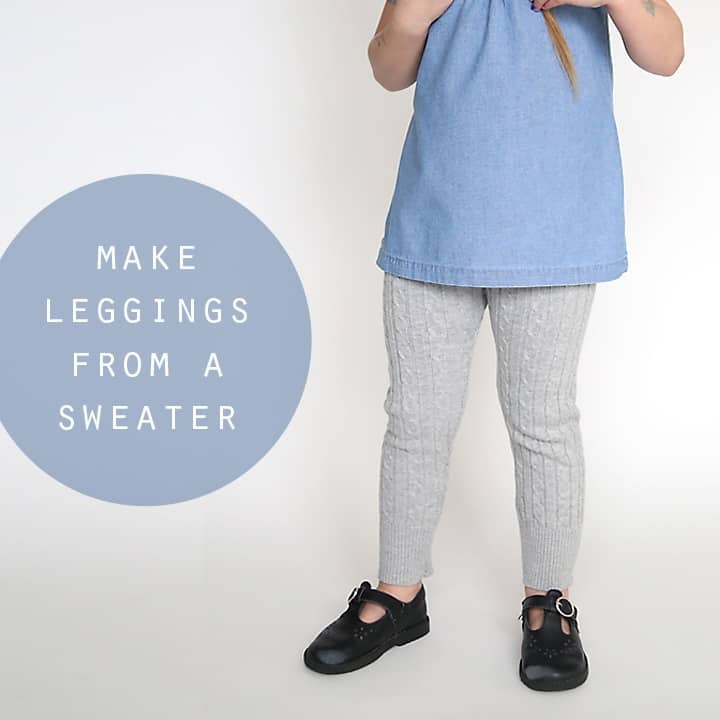 Every child deserves to experience the awesomeness of leggings, but if you don’t want to spend a fortune on kid’s fashion, you can turn to It’s Always Autumn and learn how to make them yourself! 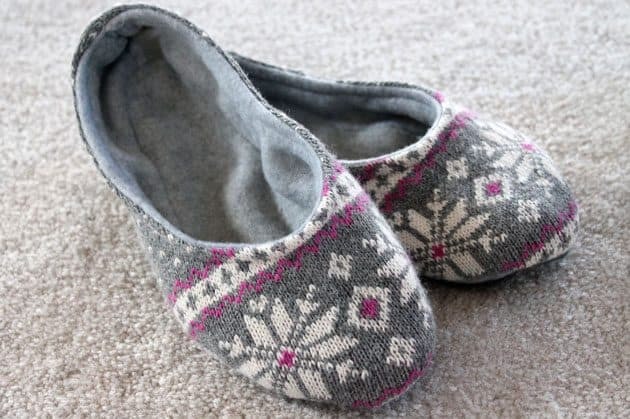 Wait, a warm and cozy sweater for our poor frozen feet? We’ll take it! 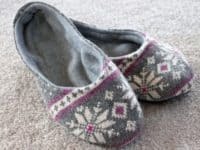 These slippers are the perfect thing to wear at home, especially on the lazy rainy weekends you choose to spend in your pajamas! 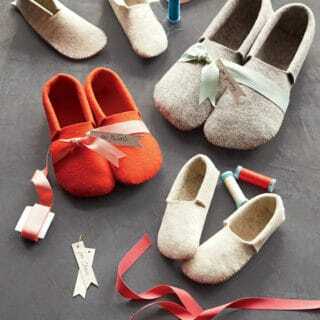 Get your comfy on with these homey slippers by eHow! 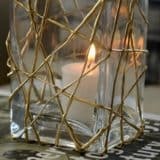 The fashion trends are always changing, but don’t let that stop you from making a timeless and charming accessory that captures the feeling of comfort! 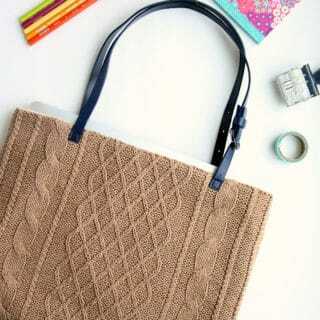 It’s time to cut that old sweater apart and put it to a good use; Organize and Decorate Everything will show you how! 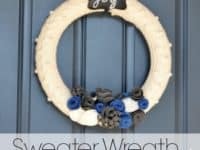 You’ve done the natural wreaths, the fancy wreaths and the holiday wreaths. 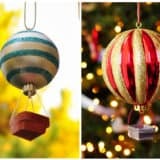 This year, why not try something simplistic? Something with a charm of minimalism? 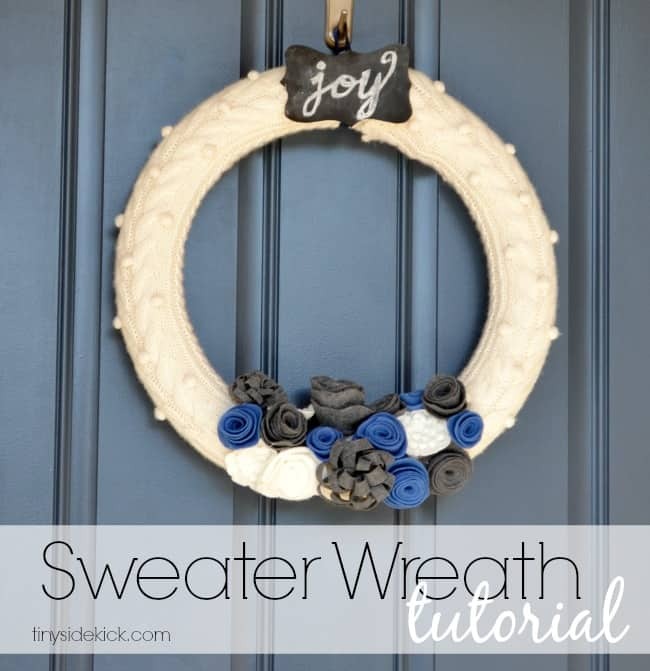 If you need a really great example of that, look to Hey There Home‘s beautiful sweater wreath! 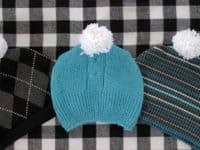 Hats aren’t always people’s favorite – they mess up your hair and are a clear indication of the fact that the air is so cold your ears can’t take it. 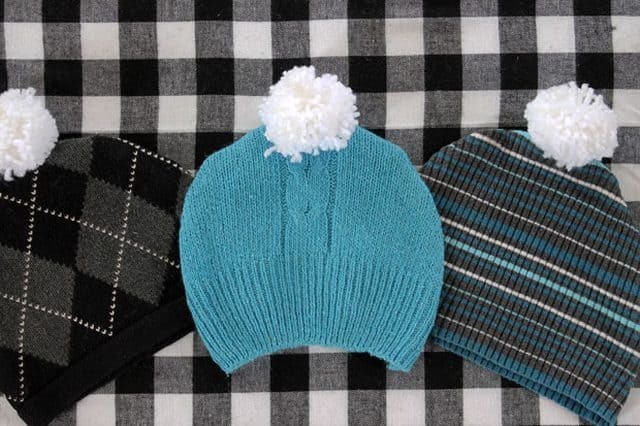 Take our word for it, if you go to eHow and accept the challenge of turning a sweater into a hat, you will never feel grumpy about wearing a hat ever again! 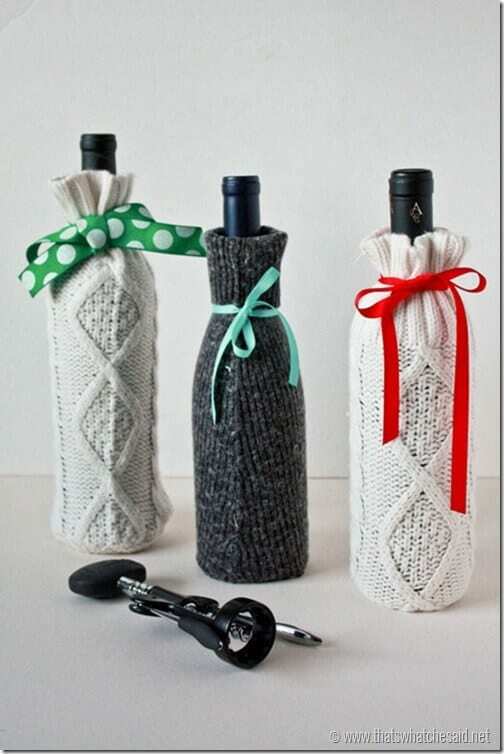 Spending a quiet winter evening at home usually requires a glass of wine and a warm sweater! 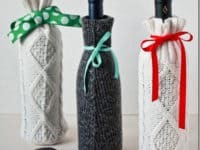 Bring the two together and dress up your favorite bottles of wine in handmade sweater wine sleeves! The idea comes from That’s What Che Said and it’s absolutely brilliant, especially if you want to give away a bottle of wine as a gift!